Have students try these activities to expand their knowledge and interest in Christianity and Rome’s Legacies. 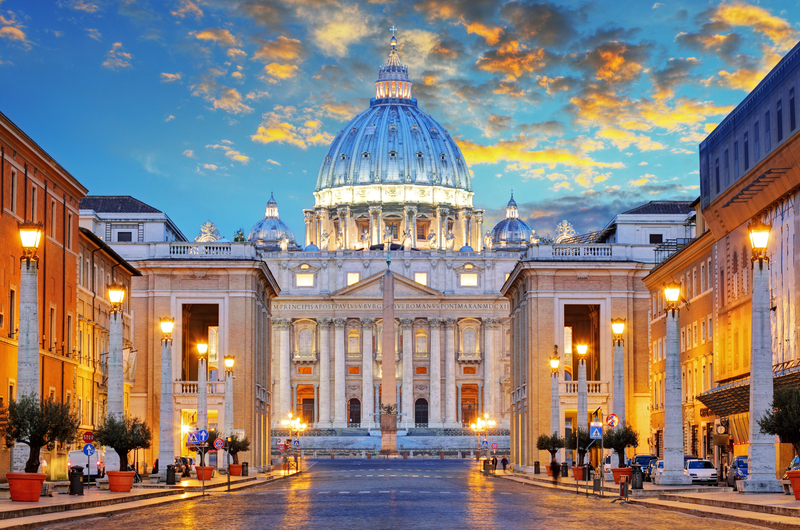 In the topic Religions in Rome, students learn that before Christianity became the religion of Rome, Roman religion involved the worship of many different gods. From Jupiter to Venus to Minerva, each Roman god was associated with certain concepts, objects, situations, or practices. For example, Minerva was goddess of wisdom, art, and craft, while Venus was goddess of love. Invite each student to choose one Roman god or goddess to research. Have students use the Internet or print resources to learn more about their chosen deities. Then have each student present to the class on his or her Roman deity, and on the practices and religious traditions associated with the deity. As mentioned in Rome’s Legacies, the Romans had a great influence on the scientific knowledge and practices of later societies, including our own. Roman engineers invented aqueducts and sewers and built roads and bridges of enduring quality. They also invented concrete. Have students research other scientific and technological innovations of the Romans using the Internet or other available resources. Have each student write a report on one Roman innovation and explain how that innovation influenced practices of later societies. This unit contain a topic about an eighth-century version of the Gospel of Mark. The pictured book dates from after the fall of the Roman Empire, but the Gospel of Mark was originally written down at the height of the Roman Empire. Ask students to think about the following questions: How was information transmitted from person to person in the days of the Roman Empire? How was the doctrine of Christianity transmitted? Invite students to research the forms of writing and kinds of documents that existed during the Roman Empire and to think about how these factors influenced the spread of the Christian faith. Was Christianity primarily disseminated orally? Did Roman citizens carry bound copies of religious texts around with them, as people did in later times (and still do today)? How does the medium in which information is stored or expressed influence the way it is received and interpreted by people? Lead a class discussion of these questions. In Christianity and the Two Empires, students learn that Rome had many emperors, from Caligula to Marcus Aurelius. Some of these emperors were great rulers who helped Rome expand its borders and grow rich; others were despotic tyrants and perverted lunatics. Ask each student to choose and research a particular Roman emperor. Students should investigate the success of the emperor’s reign, or lack thereof; they should investigate the factors that contributed to the emperor’s ascension, and those factors that contributed to his fall or deposition. Students can make posters or slideshows about their chosen emperors and present them to the class. Many factors contributed to the fall of the Roman Empire. After reading The Decline of the Roman Empire, brainstorm these factors and come up with a list. Important items on the list include the following: conflicts among Roman leaders; the large size of the empire; Germanic tribes attacking the Empire from the outside. Once your class has agreed on a general list of factors, ask students to write narrative stories in which Rome does not fall. Students should reimagine the roles played by the factors on your list so as to come up with alternative histories in which those factors do not bring about the fall of Rome. Of course, there are many ways to do this, and so no one alternative history is right or wrong. The purpose of this activity is to get students to think critically about why Rome fell and about whether its fall could have been avoided if certain factors had been different. The Romans were in the practice of making statues of their emperors in order to encourage patriotism. Roman artists also made many remarkable mosaics. Resources permitting, ask students to create pieces of “Roman art,” either in the form of sculptures or mosaics. Ask students to think about what their pieces of art represent. Do they represent the same kinds of values or concepts that were important to the Romans? If not, why not? Find some examples in the topic Rome’s Legacies.